Working outdoors, especially in the winter, makes your hands vulnerable not only to standard hazards, but cold as well. The Hotteeze Hand Warmer offers a simple, fast-acting and lasting solution to cold hands. Placed inside your usual work gloves, it can keep your hands warm for up to 10 hours. This purchase includes a single hand warmer. 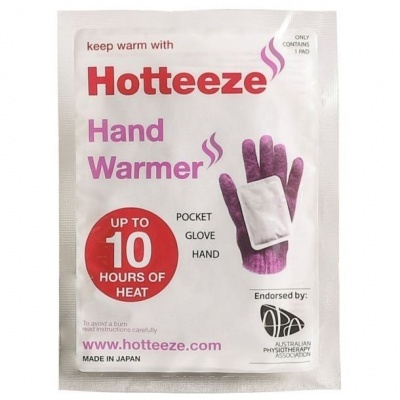 The Hotteeze Hand Warmer is also available in packs of 10. Very useful om the golf course on a frosty morning!